I asked my pregnant sister for recipe ideas the other day and all I got back were desserts!!!... and fried rice. That's what I get for asking a pregnant woman about food. 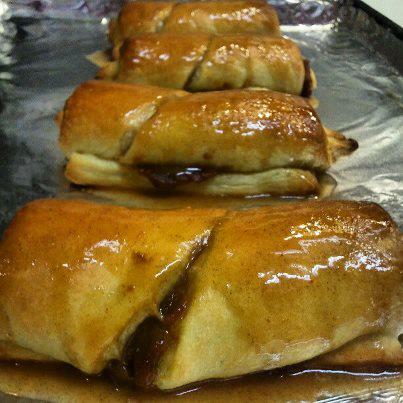 She did, however, suggest pumpkin cinnamon rolls. At first I dismissed this idea because, let's be honest, pumpkin stuff is ev.ery.where.... but after a few days I was still thinking about it, so I did a little googlin. All the recipes I saw had yeast dough, needed rise time, a bajillion other ingredients, blahblahblah. No thanks. 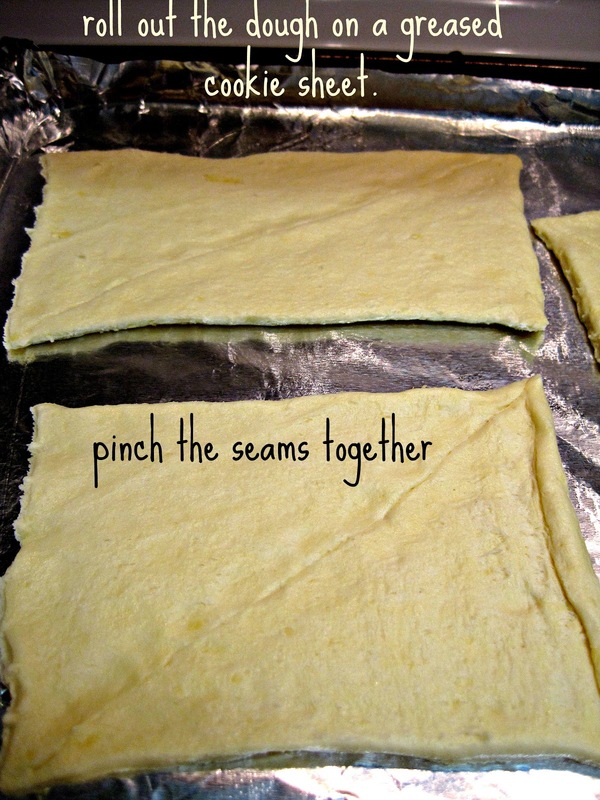 These rolls are uber simple and take maybe 20 minutes from start to finish. That's my kind of recipe! 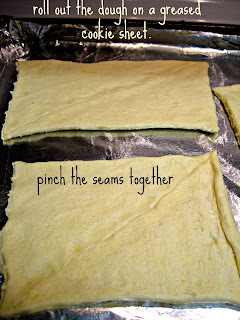 On a greased cookie sheet, roll out the crescent dough, I pinched together two triangles each to make 4 rolls. In a small bowl mix together pumpkin puree, brown sugar, cinnamon, and nutmeg. 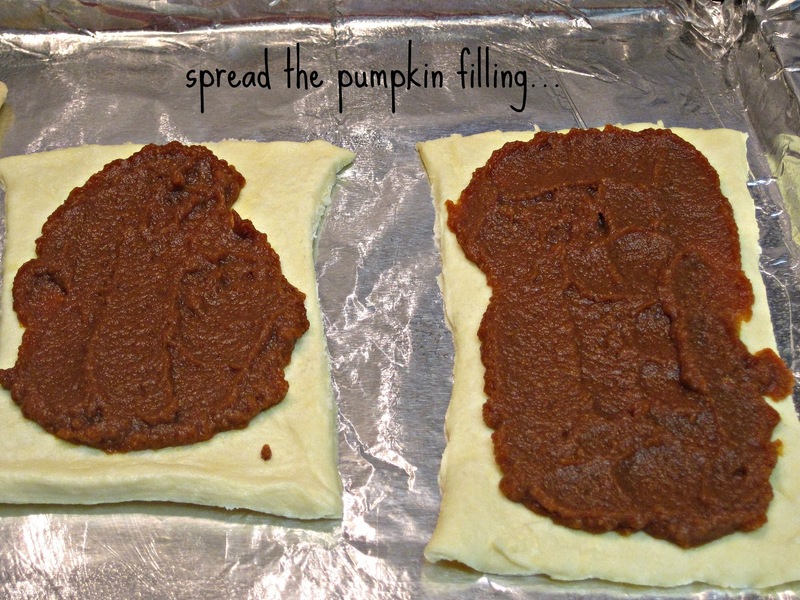 Spread pumpkin mixture evenly on all dough. 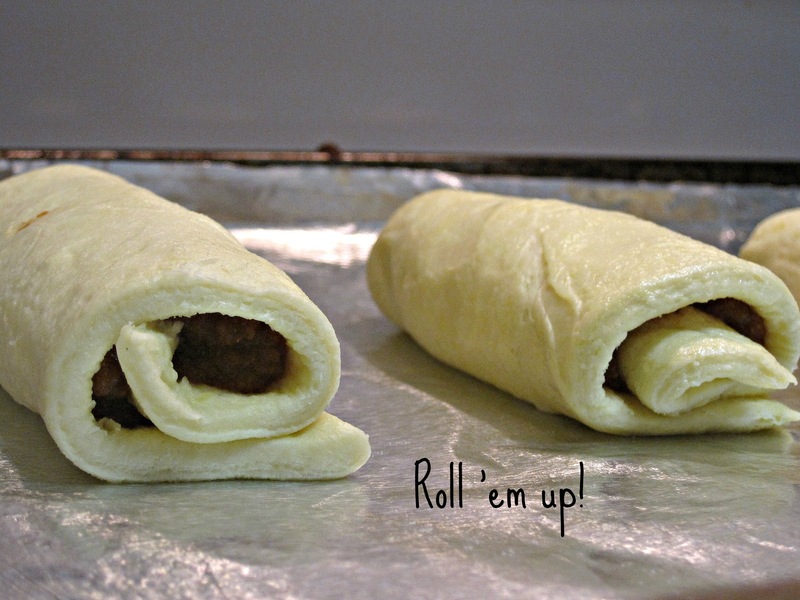 Roll up and bake for 10-12 minutes. While the rolls are baking, melt butter and mix in cinnamon/sugar. When rolls are golden brown on top, let stand for 2 minutes and then brush on the cinnamon/sugar butter. Note: the nutmeg can get a little strong, less is more! Wow! That photo is making me hungry! 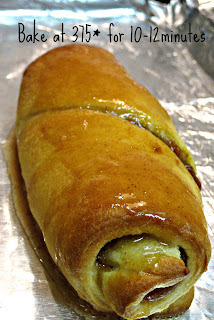 That cinnamon sugar butter puts it over the top! I would love for you to share them at my Mealtime Monday linky party!